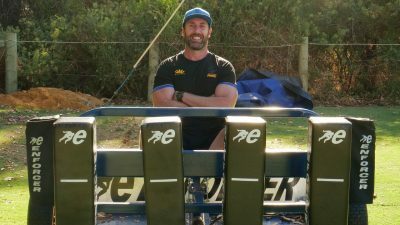 The Western Force have secured their coaching staff for 2019 with the appointment of Steve Meehan as Defence Coach. 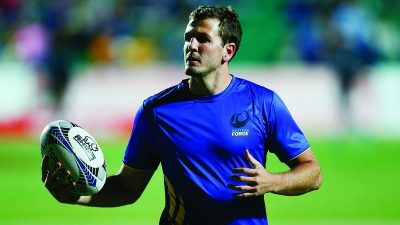 The Western Force’s fastest man, Rod ‘Rocket’ Davies has been selected to play in the Australian Men’s Sevens team’s for the HSBC World Rugby Sevens Series in Vancouver, Canada this weekend. The Western Force is excited to announce 10 playing dates within the 2019 Global Rapid Rugby Showcase. Superstar Ian Prior will captain the Western Force for a second season after being appointed to the role for the 2018 season. What started as a conversation between the coaches and the Force’s Kieran Longbottom has become a three-part scrum session open to all rugby players finishing up next week. Submit your details and we'll send you updates from the Western Force. Register your interest to become an official Member of the Western Force in 2019! Request contact regarding our corporate hospitality packages or partnerships. The following terms and conditions (Terms) apply to all users (You or Your) of the Western Force’s website www.westernforce.com.au (Western Force Website) in any format or version and howsoever accessed. By using the Western Force Website, You agree to comply with these Terms. All content on the Western Force Website belongs to Sea of Blue Pty Ltd (trading as the Western Force) and/or its suppliers or licensors. The Western Force reserves all rights to protect is intellectual property as it deems appropriate. All copyright in the text, images, graphics, interfaces, and other content on the Western Force Website, and the arrangement and coordination of all such content, are owned or licensed by the Western Force. You may view the Western Force Website and its content, but You may not copy, compile, reproduce, modify or distribute any of the Western Force Website content for any reason without the express written permission of the Western Force. The Western Force Website displays numerous trade marks owned or licensed by the Western Force, state rugby organisations, Western Force sponsors and other third parties in Australia and internationally. You may not use any of the trade marks appearing on the Western Force Website without the express written permission of the Western Force or the relevant trade mark owner. The Western Force Website contains links to third party websites. Such links are provided for convenience only. By providing links to third party websites, the Western Force does not endorse the products or services offered through such sites, nor is the Western Force responsible for the content appearing on such sites. The Western Force welcomes the use of Western Force’s logo, as may be updated from time to time, on third party websites as a link from those sites to the Western Force’s website (www.westernforce.com.au), subject to the Western Force’s approval at all times. undertake any conduct that violates any of the Western Force’s policies or, in the Western Force’s sole discretion, restricts or inhibits any other user from using or enjoying the Western Force Website. By posting or submitting content to the Western Force Website, You represent and warrant that (i) You own all the rights to the content or are authorised to use and distribute the content via the Western Force Website; and (ii) the content does not and will not infringe any intellectual property rights, any applicable law or regulation, or any of the warranties made by You above. The Western Force reserves the right to pre-screen content submitted for publication on the Western Force Website. The Western Force may refuse to publish or remove content that, in its sole discretion, does not meet its standards or does not comply with the Terms. You will indemnify the Western Force, its employees, agents and representatives from any loss or damage including consequential loss or damage which may arise from Your use of the Western Force Website or from any breach by You of these Terms. While the Western Force aims to provide accurate and truthful information at all times, the Western Force makes no warranties or guarantees with respect to the accuracy, suitability, reliability or timeliness of the information, software, products or services included in or available through the Western Force Website. Any information or advice obtained from the Western Force Website should not be relied upon for personal, medical, legal or financial purposes and You should consult an appropriate professional for specific and personalized advice. 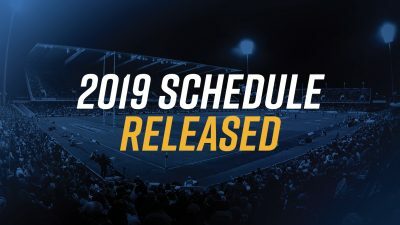 All content on the Western Force Website, as well as these Terms, are subject to change and may be updated by the Western Force at any time in its sole discretion. 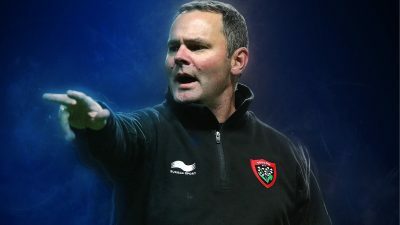 To the full extent permitted by law, in no event shall the Western Force, its agents or suppliers be liable for any direct, indirect, punitive, special or consequential damages whatsoever arising from or in any way connected with the use of the Western Force Website. 1. What type of personal information does Western Force collect and hold? password information unique to your account(s) with Western Force. Should you choose not to provide this personal information to Western Force, it may mean that Western Force cannot provide you with product/services. 2. Why does Western Force collect your personal information? facilitate Western Force’s internal business operations including updating internal databases, conducting consumer satisfaction surveys, fulfilling regulatory and legal requirements and system testing. Western Force will from time to time use your personal information in order to directly market its products and services to you. 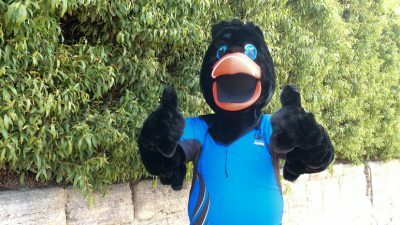 In so doing, Western Force may use your residential address details, email address or telephone number(s) to contact you. Western Force will directly market to you as it considers appropriate in its absolute discretion based on its own analysis of the personal information it collects about you. If you object to Western Force directly marketing to you, you can request it to refrain from doing so by notifying the Western Force Privacy Officer in writing, as set out below. 3. How does Western Force collect my personal information? your agent if so nominated with your consent. 4. How does Western Force store and hold personal information? Data spreadsheets or files kept for the purpose of facilitating communications relating to Western Force’s provision of services to you – including for both internally or externally generated communications, and sales reporting activities. Forms as completed by you which are then stored by Western Force. Your personal information may also be stored on a cloud-based computing system hosted by a client relationship manager to be chosen by Western Force in its discretion. 5. To whom may Western Force disclose my personal information? your nominated agent with your consent. Western Force does not share personal information with overseas entities in the normal course of its business, however if at any time information is required to be shared, Western Force will endeavour at all times to ensure such information is not used for any purpose other than that specifically intended and as would be reasonably able to be expected by you. 6. Can I access my information and have it corrected? In the normal course of Western Force’s business with you, you can contact Western Force by email, in writing, over the phone or in person to check, update or correct information Western Force may already have collected for the purpose of providing services to you. You will be required to answer questions to prove your identity to us prior to, and in order to have such information amended or confirmed to you. You can request access to your personal information at any time, or ask us to correct this information where you believe it is incorrect or out of date. No fee will be charged for a request to access the information. However, you may be charged the reasonable expenses incurred in providing the information you have requested (such as searching and photocopying costs if so incurred by us) if you require these to be provided to you. 7. What if I am concerned about the handling of my personal information by Western Force? If you feel that Western Force has not adhered to this policy in the course of its provision of service to you, please contact us, in writing, to let us know what you are concerned about (using the contact details above).